A couple of weeks ago I took my senior portraits and it hit me I AM GOING TO BE A SENIOR. I can not believe I am about to be a senior in high school! This time next year I will be getting ready to go off to college! WHAT!!! It's so crazy how fast time flies. 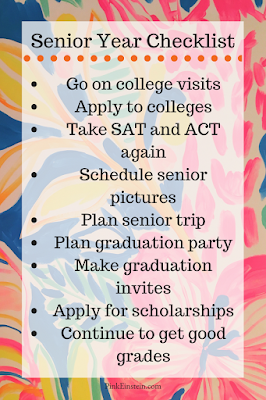 I'm here today to share my senior year checklist. Since senior year is almost here its time for me to start marking things off my senior year checklist! 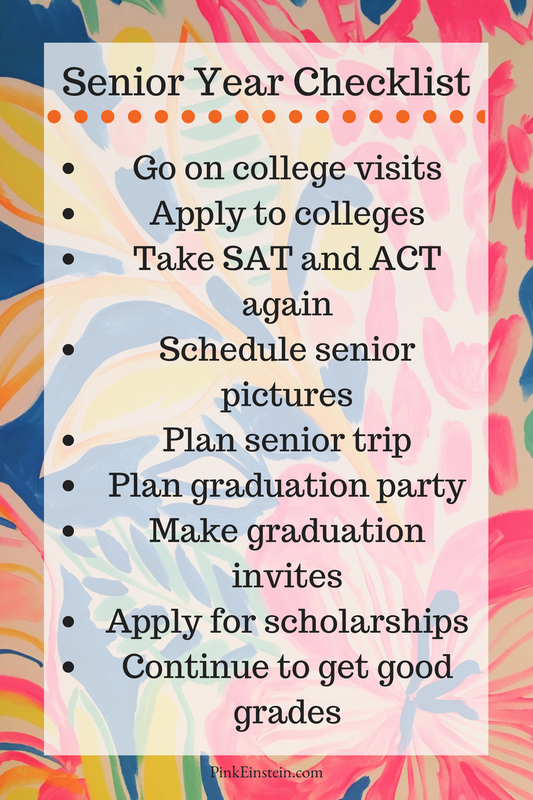 These obviously aren't all of the things seniors should get done during senior year but its just a few I thought were important and that I want to accomplish. If you are a senior what is something on your checklist that I didn't list above?